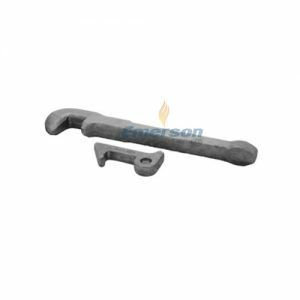 As we have checked the importance of Heat Treatment Process, “Annealing” heat treatment process is essential part of forging manufacturing while producing quality assignments. 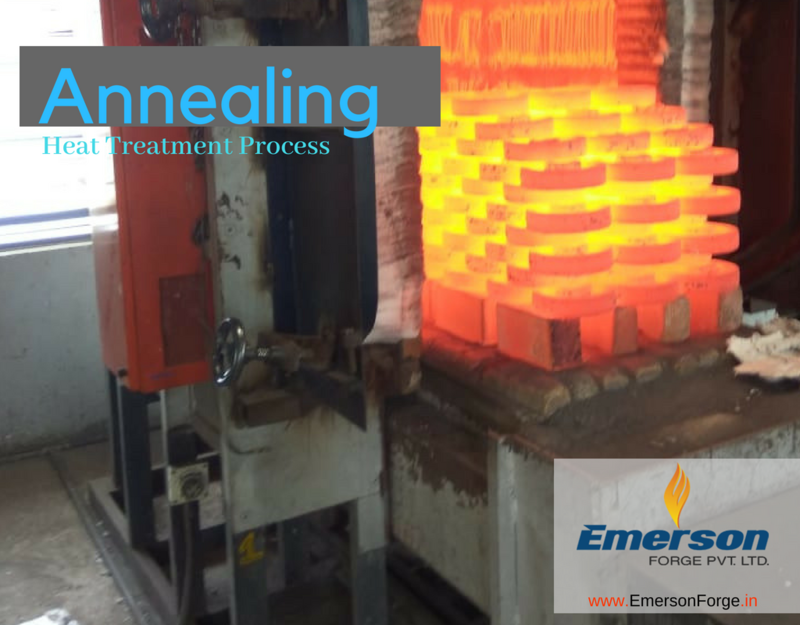 Here are some fundamentals on “Annealing” heat treatment process. Stress is relieves in every process of annealing but when the annealing process done only for a purpose to remove a stress, It calls stress relieving. Sometime it also known as in complete annealing or finish annealing. In this process work piece has to heat till 500-700 0C and main time this temperature for long time and then after cool down slowly. Annealing process removes stresses generated in ferrous and non ferrous material due to operation like casting, quenching, machining, cold working, welding etc. By annealing of castings we can save it from warpage (bend) and failures. Casting has to heat till plastic stage and removes its thermal stress in this stress relieving process. This process performs to regain cold working properties in material by removing stresses due to cold working. This process is useful to manufacture sheets and wire. Ferrous materials heated till 550 0C to 650 0C and cooled in air to perform this process. Material gets soft like wire drawing process through this process. Pearlite element is lesser in mild steel. So it can soften easily. There is no change occurs in phase of material due to process annealing. This process performs in continuous or batch furnaces. It is another type of annealing in which cementite in the granular form is produced in structure of steel. This is usually applied to high carbon tool steel which are difficult to machine. The operation consists of heating the steel to a temperature slightly above the lower critical temperature (730 0C to 770 0C). It is held at this temperature for some time and then cooled slowly to 600 0C. The rate of cooling is from 25 0C to 30 0C per hour. The purpose of full annealing is to soften the metal, to refine the grain structure, to relieve stress and to remove trapped gases in the metal. Heat the steel from 30-50 0C above the upper critical temperature for hypo eutectoid steel and by the same temperature above the lower critical temperature i.e. 723 0C for hyper eutectoid steels. Holding it at this temperature for some time to enable the internal changes takes place. The time allowed is approximately 3 to 4 minutes for each millimetre of thickness of the largest section. Cool slowly in the furnace. The rate of cooling varies from 30 0C to 200 0C per hour depending upon composition of steel. We can make structure of castings homogeneous by this process. When the casting done the structures found at its grain boundary are uneven in whole casting. So its mechanical and physical properties vary and its use is not advisable. Deffusion annealing performs to achieve evenness (symmetry) in structure. This process usually perform on stainless steel, alloy steel, brass and bronze. Material heated till 1100 0C to 1200 0C speedily. Maintain this temperature for specified time and decrease the temperature till 800 0C to 850 0C within 6 to 8 hours. Other cooling is done in atmosphere. Because of this grains of structure refines. In this process hypoeutectoid steel heated more than 723 0C and till it comes to austenitic range and eutectoid steel heated till 723 0C and cool down quickly till 650 0C. This temperature holds for some time and then after it cools in atmosphere. This process is used for rolled and forged parts. This process is useful to make part soft, relieve stress and for better structure. we will see NORMALISING Forging Heat Treatment Process in next article. This article publish by Forging Company India.